Your back must be larger than your top by a minimum of six inches wider and six inches longer. If you are using Minkie, Fireside, or Fleece, please allow 10 inches wider and 10 inches longer. Iron all of your seams on your top and back. Your quilt will lay flatter and you'll see fewer lumps and ridges. Remove all loose threads. Dark colored threads left on the back of a quilt top can frequently be seen, especially if they're caught behind lighter fabrics. We do our best to catch as many as possible, but we view this as your responsibility. Indicate, in advance, if your quilt top and back are directional. If your back is a panel we will square it up to the best of our ability, and we will do our best to get it as centered as possible. Since the quilt back is on a separate roller than the top, and both advance differently, we can't guarantee that your back center panel will be perfectly aligned with the center of your top. If you sew your seams at less than 1/4 inch they will most likely separate and unravel while your quilt is pulled over the rollers. Square all edges on your quilt top and back in advance. This is essential for a quality finished product. Failure to do this may result in additional setup time. Baggy Borders are a nightmare. 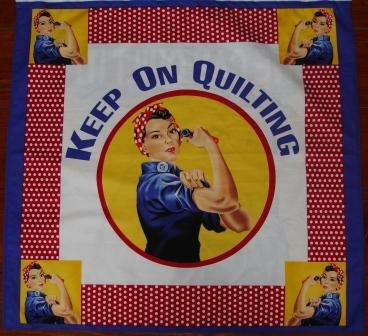 The number one problem we face in long arm quilting is baggy borders. This is because there is a certain amount of stretching that occurs when a border is sewn on. It is especially problematic when a border strip is sewn onto a section of the quilt that is stretchy because the fabric is on the bias (or cut at an angle). It may result in tucks and general bagginess within the border (or stretchy area) when quilted. The best way to avoid this problem is to measure the inner quilt top, on the left, right, and center of each edge, and cut the border to that same exact measurement. Then pin it on and sew. Please call us and we will be happy to explain in more detail if necessary. Shipping is available using Priority Mail. Insurance can be added upon request.